University of Toledo is ranked by Top Master’s in Education for the Best Master’s in Educational Assessment, Measurement, and Evaluation Degrees for 2017. This recognition is truly a testament to excellence! The ranking is published by Top Master’s in Education. 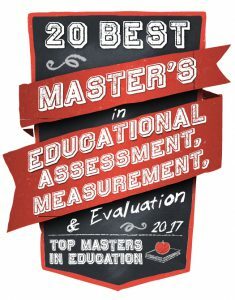 This site provides objective rankings, critical reviews, and other resources related to Master’s in Education programs.